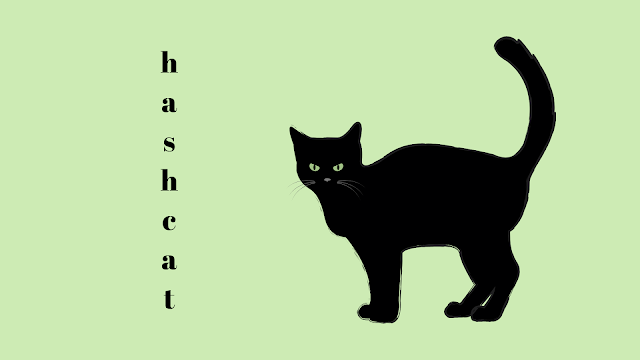 Hashcat is a Multiplatform hash cracking software that is popular for password cracking. Hashing a common technique to store the password in various software. Protected PDF, ZIP, and other format files that are protected by a password. This password is hashed and saved as part of the file itself. Using Hashcat you can easily identify the password of a protected file. The tool is open source and free to use. It works with CPU, GPU and other hardware that support OpenCL runtime. I have hand-curated these Hashcat online tutorials for learning and experimentation. Hashcat software can identify the password by using its input as the hashed value. Since hashing is a one-way process it uses different techniques to guess the password. Hashcat can use a simple word list to guess passwords. It also supports brute-force attack that can try to create all possible character combinations for the potential password. Recent attack features of masking and rule-based attack makes it even more powerful and faster tool to recover the password from a hash. As a beginner you may want to start simple with these tutorials. You can jump to advanced tutorials if you have already learned basic hashcat commands and usage. frequently_asked_questions [hashcat wiki] - The FAQs listed on official website are the best starting point for any beginner. If you see an error using the tool, you may find a detailed description on that error in this page. Cracking Passwords With Hashcat | Pengs.WIN! This is a Video courses and tutorials list, you may find it helpful if you prefer video tutorials or classroom setup. These are downloadable resources about hashcat. You can download the PDF and eBook versions to learn anywhere. Hashcat User Manual - The official user manual of Hashcat that contains all features in a well documented format. This may be handy once you start feel little comfortable with basic hashcat usage. Owaspbristol 2018 02 19 Practical Password Cracking - OWASP is the place for security experts to get most authentic information. This is a simple eBook about password cracking encourage stronger passwords. Bslv17 Ground1234 Passwords 201 Beyond The Basics Royce Williams 2017 07 26 - A simple presentation that covers hassed password cracking tips and techniques using hashcat. Below mentioned websites can be a good source for getting help on Hashcat and related topics. Official Website of hashcat - advanced password recovery - The official Hashcat website with all details about the tool and its supported versions to download. This is the best place to start your hashcat research and learning. hashcat Forum - Best place to get help as a beginner about hashcat. I will recommend do a search before asking a question, since most questions may have been asked in past. Your Hacking Tutorial by ZempiriansHotHot - Subreddit about hacking where you may get some help and direction on using hashcat. HashCat Online - Password Recovery in the cloud WPA MD5 PDF DOC - Hashcat online, can be a good place to experiment with your hashcat skills without installing hashcat on your own computer. Newest 'hashcat' Questions - Stack Overflow - Stackoverflow is my favorite place for many things, however, for hashcat it can be a little dull since I do not notice a lot of participation from the community. You may still have some luck if you ask your question the right way and give some bounty. This is a very big list of tutorials. Hashcat is just a simple software and you may need to use very few options from it. Try to experiment with it and you will start learning. Please share this with friends and add your suggestion and feedback in the comments section.